Sue me, I’m an idealist. I still maintain that way too much emphasis on the realm of advocating openness, open licenses, is based on the creators side. That putting a license on your work “protects” it from uses you prefer not happen. The former is heavily reinforced by the online blast of content shared in social media; there is no means or no one has bothered to make means, for credit/authorship to travel with content (just keep praying for your blockchain, good luck). It’s also exacerbated by popular authors who demonstrate the use of unattributed media affirming the “if it’s online I can use it” mentality. I saw this week a tweet where Hugh MacLeod shared his beautiful archive of “cartoons drawn on the back of business cards.” I’ve remembered these from way back when, and am sure I used one of them about human networks before. Curiously, I could not locate any kind of usage statement on his site, nary a © or a CC. Long time fan of the cards. Question- I can't see any kind of license or statement on reuse? Creative Commons? Please? Non-commercial social media use is Creative Commons. Commercial use is more of a traditional licensing agreement. Been that way for years. This is, I guess, the “You gotta ask” permissions. I fully support a creator’s right to choose how they share it. But what ab0ut that individual user, potential re-user? How will they know? Are they compelled to say thank you (via attribution), or just Grab ‘n Go. On another site, last weekend I participated as a volunteer in our local community fund raiser, a mountain bike race (disclaimer of sorts; I got paid a little bit 2 years ago to rebuild their web site, but since then, I maintain / update it for free). As I enjoy doing, from my location on the course I had a great vantage point for taking photos of the racers. 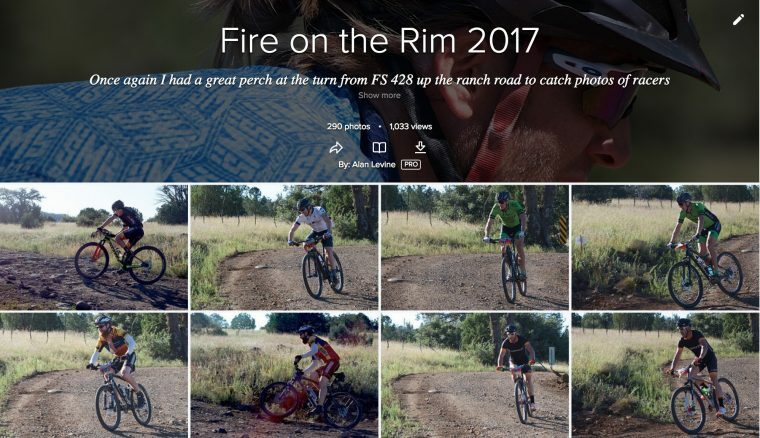 Some 290 bike race photos all shared into the public domain. Hey public, that’s you. It’s yours! Free! It works! Like the rest of my flickr photos all are put into the public domain. After someone shared into Facebook, I got a few requests for where people could buy the photos. When told it was free to use for any use, that I do not take / share photos to make money, well, I guess they got what they wanted. 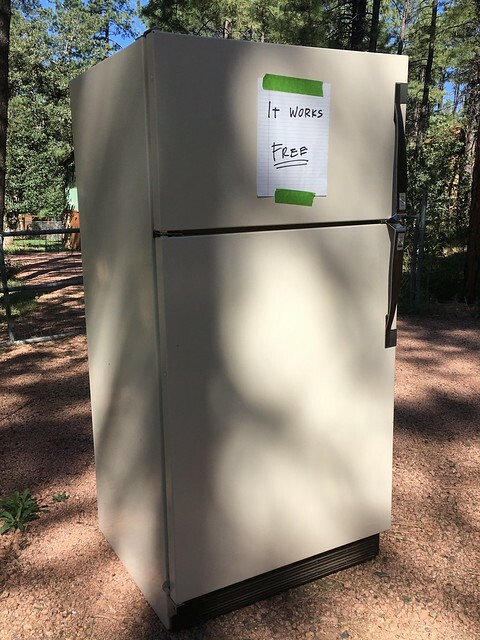 For free, working. 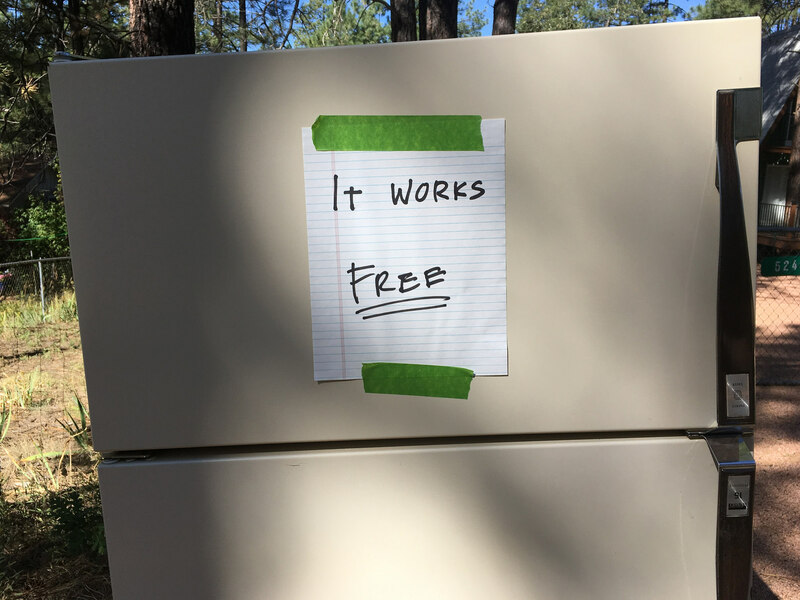 Another person relayed a message from a bike shop owner that wanted to use some to share in instagram (I guess it’s a positive that they inquired). Again I explained the public domain idea, that it would be nice to get a credit. That actually happened. On a platform that lacks any ability to define license options nor a means by which URLs in captions are links (that’s another rant). Maybe it’s one person at a time. After all it’s not easy in practice. But go ahead, and try to keep your content locked in the DRM freezer. Or just open the door and grab anything, don’t say thanks. You’ve reminded me that I happened to use one of your photos to publicize a lunch event we did at work. And I did remember to put a citation and link at the bottom of the email… because among the people you’ve reached with this message is me. (Now if I ever see someone else’s campus email with an image credit, I’ll know it’s catching.) But I forgot to let you know… so thanks!